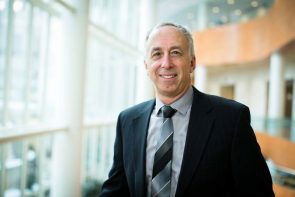 A breakthrough in pathology, achieved more than a century ago (allegedly on a frozen window ledge in Rochester, Minnesota) has evolved into an innovative aspect of care at Mayo Clinic. 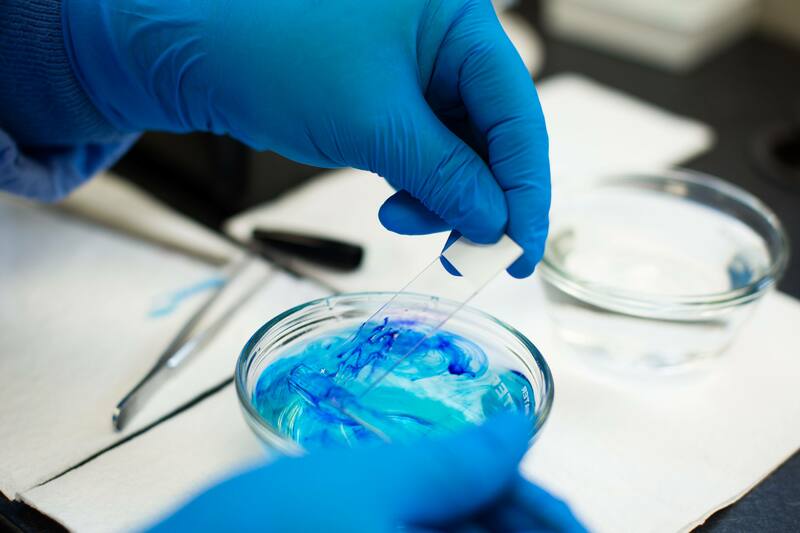 Mayo Clinic is one of the only medical centers in the United States to routinely use a tissue-freezing process that provides analysis of tissue samples while the patient is still in the operating room. The procedure is particularly valuable for surgical resection of breast cancer, as it greatly increases the likelihood of full tumor removal in a single operation. In modern breast-conserving surgery, the surgeon removes the cancerous lump and a margin of healthy tissue, while avoiding extensive removal of non-cancerous tissue. Later, a pathologist analyzes the tissue to determine if the cancer was fully removed. The pathologist’s report might require a week or more to complete. If it shows cancer at the margins of excised tissue, the patient must return for a second operation to remove the cancer. The difference is due to the Mayo Clinic Frozen Section Pathology Laboratory. At Mayo Clinic, after breast tissue is removed from a patient, it’s taken directly from the operating room to the nearby lab, where the edges around the lumpectomy are evaluated, and the sample is placed on a freezing machine known as a freezing microtome. The bottom of the sample is frozen within seconds. That allows the pathologist to extract a razor-thin slice for review under a microscope and convey the test results to the surgeon in the operating room within minutes—while the patient is still asleep. The surgeon can then remove more tissue if necessary, within a single operation. 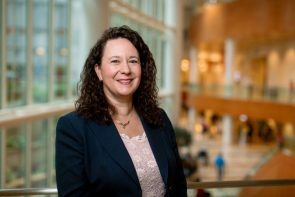 “Our frozen section pathology is used routinely for intraoperative margin analysis in all breast cancer cases, not just those that might appear unusual,” says Elizabeth Habermann, Ph.D., Scientific Director of the Surgical Outcomes Program in the Mayo Clinic Robert D. and Patricia E. Kern Center for the Science of Health Care Delivery. “It’s a much smoother process,” Dr. Boughey adds. 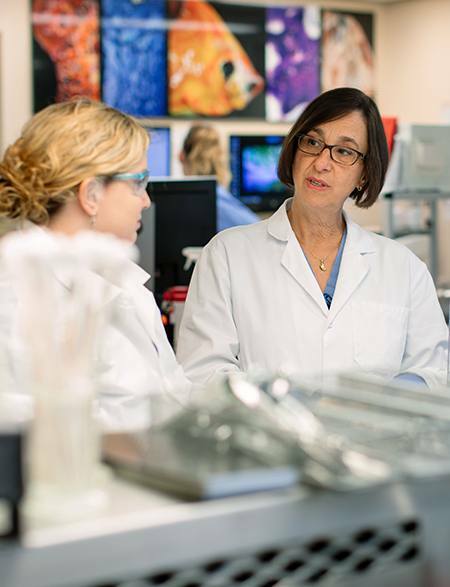 Diva Salomao, M.D., an anatomic and clinical pathologist, discusses a case with Chandra Pettry, PA(ASCP), a pathologist's assistant. 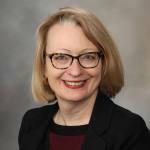 In a published health economic analysis, Dr. Boughey and colleagues demonstrated that the use of frozen section tissue analysis in breast-conserving surgery would result in significant cost savings for Medicare, Medicaid, and private payers. ** Although frozen section tissue analysis is costlier than standard analysis, the increase is offset by lower expenditures associated with avoiding reoperations. As a result, if frozen section analysis were used in 20% of breast lumpectomies, the annual cost savings would be $18.2 million to payers and $400,000 to providers. If all facilities providing lumpectomies adopted the use of frozen section margin analysis, the potential annual cost savings would be $90.9 million to payers and $1.8 million to providers. Another advantage of frozen tissue analysis is the opportunity it provides for pathologist and surgeon to confer about the tumor while the patient is still asleep. “Often the surgeon walks into the pathology lab and looks at the specimen with the pathology team while the patient is still in the operating room. That allows us to really see the disease,” Dr. Boughey says. 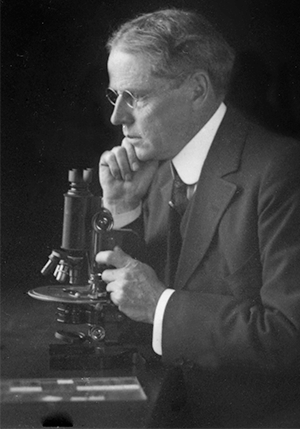 Louis Wilson, M.D., hired by the Mayo brothers in 1905 to develop the burgeoning clinic’s diagnostic laboratories, soon obliged. Experimenting with frozen tissue, Dr. Wilson was able to obtain quick freezing by placing specimens outside his window in Rochester for a few minutes in January. Nowadays, Mayo Clinic pathologists use a Mayo-modifed freezing microtome—unlike most pathology practices, which use cryostat methodology for the production of frozen sections. The innovative approach is part of Mayo Clinic’s commitment to evidence-based improvements in patient care. It’s an effort that requires close collaboration between physicians and data scientists such as Dr. Habermann. “As a surgeon, I’m spoiled by what Mayo Clinic pathologists provide,” Dr. Boughey adds. “They allow for the ultimate patient care." *Boughey, JC, et al. Impact of analysis of frozen-section margin on reoperation rates in women undergoing lumpectomy for breast cancer: Evaluation of the National Surgical Quality Improvement Program data. 2014;156:190. **Boughey, JC, et al. Economic implications of widespread expansion of frozen section margin analysis to guide surgical resection in women with breast cancer undergoing breast-conserving surgery. Journal of Oncology Practice. 2016;12:e413. http://ascopubs.org/doi/full/10.1200/JOP.2015.005652. ***Gal, AA. The centennial anniversary of the frozen section technique at the Mayo Clinic. Archives of Pathology & Laboratory Medicine. 2005;129:1532. https://www.ncbi.nlm.nih.gov/pubmed/16329725. Superb historical summary of an overlooked topic. I enjoyed the article, however do the mayo pathologists do frozen sections on breast cases done on outreach? Probably not . I think your article is little remiss by not explaining the cryostat used at mayo is different than used in the rest of the country and elsewhere. Conventional commercially available cryostats do not cool the fat tissue enough to provide an acceptable slide to interpret accurately. Thank you for your comment. According to Dr. Keeney, we do provide local “outreach” on a case by case bases. Interestingly it’s all breast cases. At Mayo Rochester we use a freezing microtome. Other pathology practices use the cryostat. The methodology of the freezing microtome allows faster tissue processing without frozen section artifact. It also allows cutting micro-sections of difficult tissue like fat. Freezing microtomes do have limited usage in research settings. We evaluated several when our older microtomes broke down. They all had a different cutting motion from the Mayo microtome. We were not able to adapt them into our clinical practice. We worked with Mayo engineering to develop/modify the freezing microtome we currently use. We provide frozen section outreach for a local hospital on many of their breast cases. It would be helpful to get the specifications of the Mayo freezing apparatus and specimen management protocol. Is it published? Is the Mayo equipment commercially available? 60 second turnaround time sounds amazing. Do you ink the specimen margin prior to frozen and cut the inked surface en face? How many sections would a 3x3x3 cm lumpectomy require? Thank you for your comment, Dr. Geller. Please reach out to Dr. Keeney, interviewed in this article, directly with your questions at Keeney.Gary@mayo.edu.